[left]He was quickly brought into the national team set up, playing in every game at the Under-17 World Cup finals. 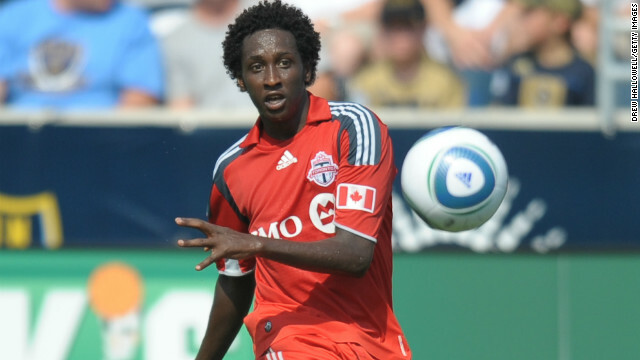 At the age of 16 he was the second youngest player ever to be drafted into the MLS. Perhaps prophetically, the youngest was Freddy Adu, a name that has become a euphemism for talent unfulfilled. [left]"It said that Ethiopia would like to invite me to play for the national team," Ibee told CNN, speaking from his hotel room in the capital Addis Ababa. [left]Soon Ibee was flying to the high altitude of Addis Ababa and into Ethiopia's squad for the 2013 Africa Cup of Nations, a biennial tournament considered one of the toughest, and most entertaining in world soccer. [left]"It was a special moment to score," Ibee said of his first-half strike in a 2-1 victory. "It will live with me for the rest of my life." [left]"But for any kid growing up in Africa, soccer is the first sport they play. I was never really serious but I started playing club teams, I was doing good and realized I should stick with it ... everything for me then was all about playing for the States."